Thank you everyone who has donated to the fundraising effort! HEGPS needs funding to keep the cam broadcast online. If you want to continue to view the cam, and are able to do so, please donate HERE. Thank you! I first saw Mom and Dad in April of 2009. It was love at first sight!! I got hooked! I smiled and cried along with so many others my first season with Mom and Dad. I remember the trajedy with Echo, but also the success of the amazing Hope. 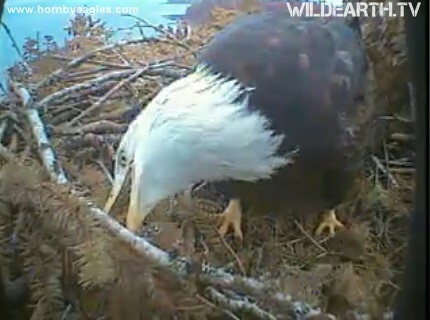 What an eaglet! 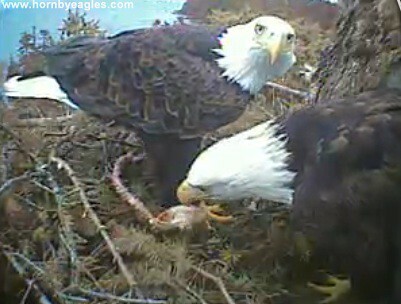 And boy, could she wrap Dad around her talons! 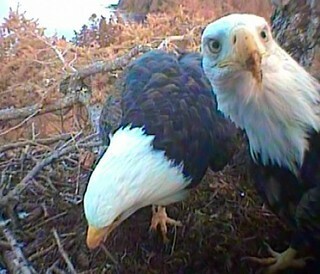 She was an eaglet who really knew how to use her voice...... SCREEP, SCREEP, SCREEP!! 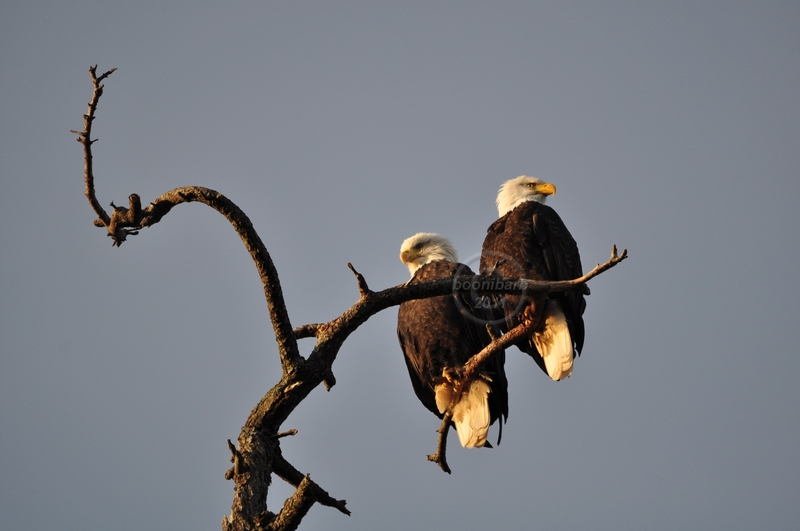 Love your recollections, Imp, of how this nest and these eagles have drawn so many to the world of Wild Birds and other wild life!!! 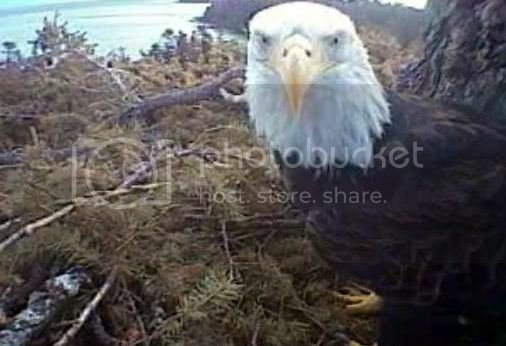 It is so amazing, how close we feel to these eagles after seeing close up on a nest how they lay eggs, hatch them, raise the little bobbleheads to be big gallant eagles! Now with the whole territory to see, our knowledge continues to grow! It's singular and fascinating! Thank you to HEGPS!! I'll do as much as I can to add to the fund and help keep this cam going! HEGPS provides a “Diction-aerie” in the OurNatureZone forum HERE, where definitions of the special language of the eagle viewer/chatter reside. There are also years of history and photos/videos from each breeding season since 2008-2009 HERE. It costs HEGPS over $5500 per year to maintain the cam and associated websites. Phoenix’s record-setting time standing on the wa cam box? (http://www.ournaturezone.com/index.php?topic=11.msg16745#msg16745 and on video https://www.youtube.com/watch?v=o88fIzYb5Js.) Dudley’s non-hatching memorial chat service? (http://www.ournaturezone.com/index.php?topic=332.0). Mom’s Tina Turner hairdo? Who “Wilson” was? Dad and Mom Hornby having heated “discussions” over stick placement? Dad’s proud trill when an egg hatched? Feel free to share your memories here. HEGPS needs funding to keep the cam broadcast online. 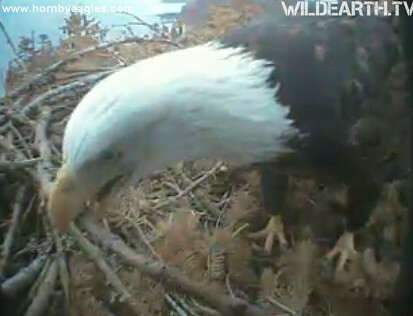 If you want to continue to view the cam, and are able to do so, please donate at http://www.hornbyeagles.com/support.htm. Thank you!